Everyone loves a comeback story, especially one from the cutest creatures in the animal kingdom. A 2013 photo that's resurfaced (get it?) 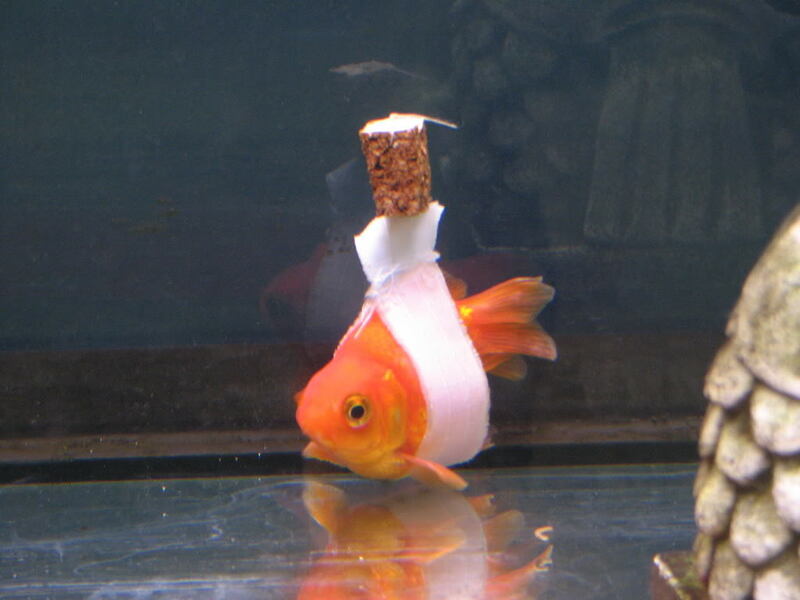 on Reddit shows the makeshift wheelchair one pet owner made for a fish with what seems to be a swim bladder problem. Because the fish struggles to float upright, it's been fitted with a minuscule sling attached to a piece of cork to help with buoyancy. There's no word on whether or not the fish made it, but we can cross our fins and hope for the best. As Mashable points out, infected swim bladders are common in goldfish. Most owners treat them by feeding "skinned peas" to their aquatic friends.